We're well-known for our impressive line of vintage equipment, as well as the finest assortment of new and used guitars and amps in the area. 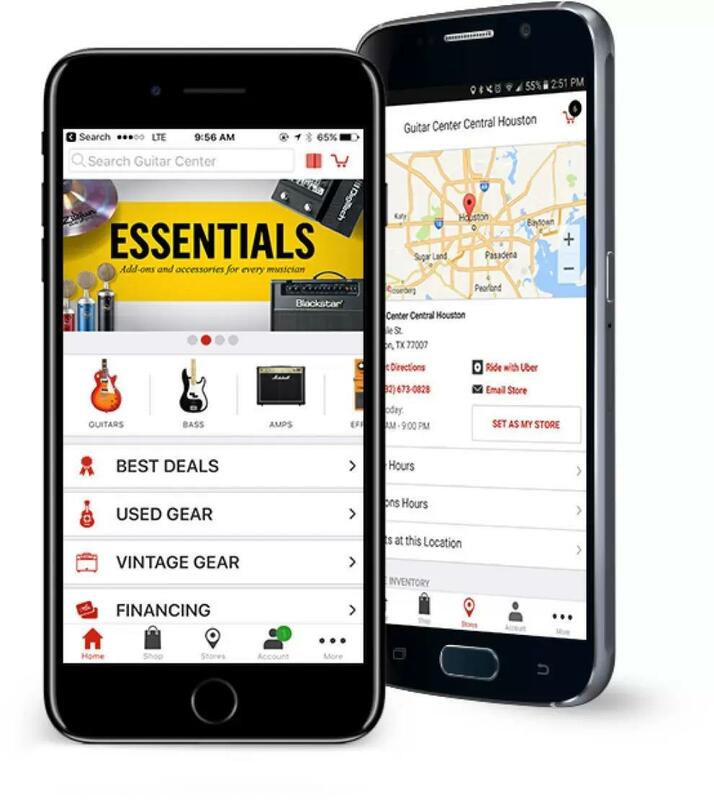 Guitar Center Lake Forest also buys and trades gear, provides guitar and recording workshops, offers full live sound and DJ setups, professional lighting options, boutique effects pedals and more. Truthfully, we could go on all day about our far-reaching inventory, but we'd rather discuss it with you personally. So if there's anything in particular you're interested in, call us at 949-609-0055, and we'll gladly take a look around. Our private lessons in guitar, bass, keyboards, and drums are available in 30 and 60-minute sessions with flexible scheduling, so you can progress at your own pace. Maybe you'd rather be the instrument - in that case, come learn more about our singing lessons. And those are only scratching the surface of the unique services at Guitar Center Lessons in Lake Forest, which also include jam sessions, recording lessons, group lessons and more. Want to know what it's like to be in a band? Ask us about our Rock Show program, which connects you with other musicians at your skill level to get the full experience. Guitar Center Lake Forest provides comprehensive guitar repair services for the Lake Forest area. Our repair technicians are as passionate about your guitars and basses as you are, and we have the experience needed to keep them performing at their best. Whether you need a quick adjustment to make your guitar easier to play, or a complete guitar rebuild, we have the tools and know-how to take care of your instrument. Guitar Center Lake Forest can also help build a maintenance plan that fits you and your guitar or bass needs, including custom setups, restrings and more. We also take care of fret repairs, hardware and pickup installations, upgrades and customizations, bone and graphite services and more. Stay-at-home hobbyists and scene veterans alike can always count on Guitar Center Lake Forest to provide them with a wide range of musical instruments and pro audio equipment. Conveniently located at 23811 El Toro Road (just off the San Diego freeway), we've been serving musicians from Lake Forest, San Clemente, Tustin, Dana Point and beyond since 1999. The second you step into our store, you'll notice quickly how helpful and friendly our team of music experts are, and it's one of the many reasons why our loyal customers continue to come back time and again.We stay true to Guitar Center's reputation for providing unmatched customer service, and an extensive selection that offers something to suit every budget. As an extra bonus, we're open all week, so no matter how busy your schedule gets, there's always a chance that you can catch us throughout your day.